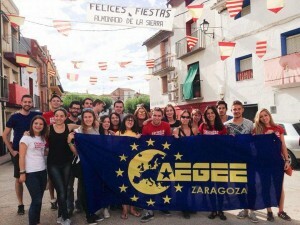 AEGEE-Zaragoza was chosen as the Local of the Month of December. However, with so many locals to choose from, what did this enthusiastic local from the northeast of Spain do to earn it, and what are its plans for the future? AEGEE-Zaragoza explains. The AEGEEan: Could you tell us something about your local? 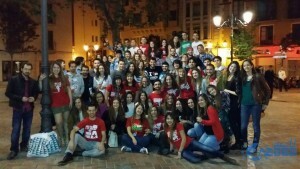 AEGEE-Zaragoza: AEGEE Zaragoza is a very active local in the center of Europe in the middle of nowhere. Currently we are a family of 153 members that meet regularly and organise cultural and fun events throughout the year. We are motivated to learn new things and improve the job we do (even if this year we turn 18). We are well-known for our amazing “I love Jamón” t-shirts, our endless energy and our invasions to events (because for us one loud “maño” is not enough, we send 30!). If you still don’t know anybody from Zaragoza (!) ask your friends how a real AEGEEan looks like. You were selected to be the Local of the Month, in part because of your New Year’s Event. Could you tell us a bit more about that? It was around October when we found ourselves looking for a good plan for New Year’s Eve. After a long conversation, we were convinced that the best idea was to make it on our own, and that’s how everything started! Five hard-worker organisers, forty-five European friends, and a program full of crazy and never seen activities were only some of the ingredients of a perfect cocktail of fun. In the end, everyone had a great time in Zaragoza and we are really proud of that. Another reason why AEGEE-Zaragoza got selected was because of the great care you take of participants in your events. Could you elaborate on this a bit more? And how especially can this inspire other locals to treat participants with the same care? For us, participants always come first. Before the event, we take every single decision thinking on them: if something is not good enough, we change it. During the event, problems are inevitable, so the best thing is to solve them with good mood and a smile on your face. In our opinion, what really makes the difference between a good event and an unforgettable one is to pay attention to the details. In our opinion, the best way to learn is to see the things with your own eyes, so we encourage other locals to come to Zaragoza and enjoy our awesome events! And of course, if someone needs some advice, we are willing to help! Does AEGEE-Zaragoza have any regular social activities for their own members? We have a formal weekly meeting in our office to catch up and it’s always followed by a “beer meeting”. These weekly events make us feel like a group of friends rather than a group of members of an association. 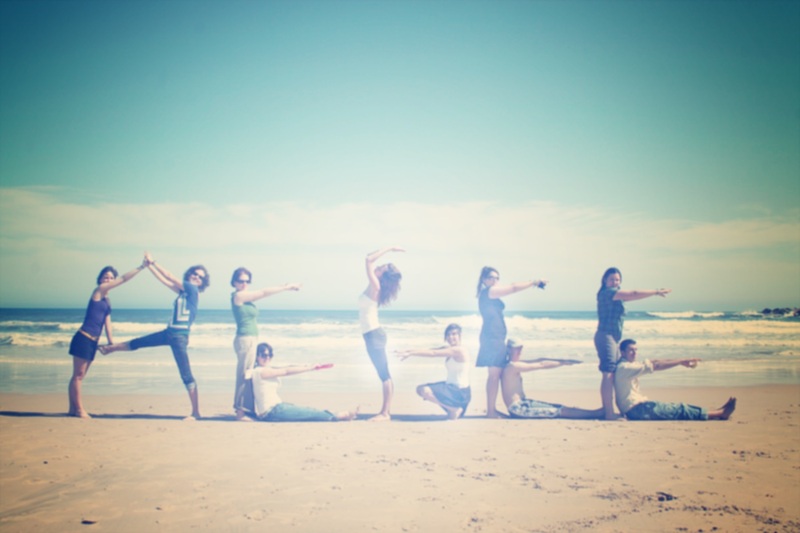 And when new members join AEGEE-Zaragoza, we push them to join in order to feel integrated and linked. That’s what makes us grow together. 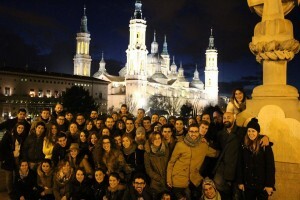 What, in your opinion, sets AEGEE-Zaragoza apart from other locals? We often wonder that and we really think that what makes us different is that we feel like a big family. It’s really easy to work with all the members of this antenna because they are your friends, and there is always motivation to work in new projects. In AEGEE-Zaragoza you are always surrounded by very energetic people that try very hard to make everybody feel comfortable and that love taking care of new members and participants of its events. AEGEE-Zaragoza has organised an Autumn Agora in 2003 and in 2013. Will you organise another statutory event soon, and are there any plans for an Autumn Agora in 2023? At the moment, we don’t intend to organise any other statutory event. However, we admit that in our minds remains the idea of seeing our future children managing their own Agora in 2033 or 2043 (who knows), as it is not a secret that our antenna has produced many couples which might have ‘pure blood’ members in the future. Wouldn’t it be nice to stare at our offspring repeating our biggest pride? I think we’ll have to leave that mission to our little brothers and cousins for the time being. Could you tell us something about some of AEGEE-Zaragoza’s plans for the future? In some weeks we will have a Local Training Course where we will have different training sessions, team building activities and a lot of fun! The following event will be, as it’s becoming a tradition, the fifth edition of the Maños! We expect many motivated participants, many innovative activities and a cool social programme. Is there a question that wasn’t raised, but that you would like to be included in the interview? We just want to add that we are organising an awesome SU this year. We will travel around our region and we will visit amazing places. Last year we had really really good marks from our participants so we want to keep on improving our results.